Identify the animals that actually form a coral reef. Helps you identify every species of stony coral, gorgonian, fire coral, black coral and even marine plants inhabiting the tropical western Atlantic. 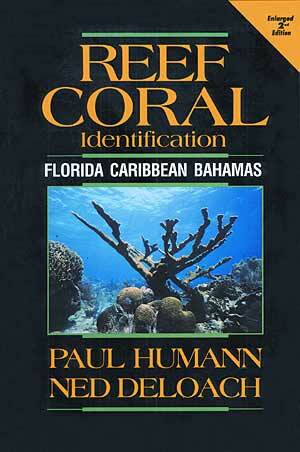 The Reef Coral Identification now includes 656 photographs of species in their natural habitat. The new 3rd edition includes additional photos documenting new species and growth variations. The expanded text incorporates the most current scientific research, including updated information about diseases and reproductive behavior of corals. 188 pages in a 6 " x 9" format weighing less than 1 1/2 pounds. Information on each species including their common, scientific and family names, descriptions, preferred habitat and the animal's range.